This case concerned the husband’s application for a declaration that his divorce previously granted in Dubai in 2009 should be recognised here in this jurisdiction and that his wife’s divorce petition issued in the UK be struck out. The husband originated from Iran and was of Muslim faith. The wife was Irish and born a Catholic, however she converted to Islam for the purposes of the marriage only. The husband alleged that on 1st April 2009 after difficulties arose in the marriage, he contacted Dubai by telephone to pronounce talaq. The husband subsequently attended Dubai 4 months later in August 2009 to instruct a lawyer to commence the divorce process. The husband’s lawyer appointed a lawyer to represent the wife. The wife never communicated with her own lawyer in any way during the proceedings. The wife did sign 2 documents; firstly a power of attorney and secondly a settlement agreement. The power of attorney was drafted in Arabic which the wife was unable to read. The wife was also not provided with the opportunity to consider the terms of the settlement agreement which were draconian and in favour of the husband. During the proceedings in Dubai, the court did not accept the husband’s talaq had been pronounced on 1st April 2009 and determined that his application for divorce was simply a declaration of seeking the same. The husband’s subsequent attendance at court on 24th September 2009 amounted to a revocable talaq. Without the other party being given an opportunity to take part in the proceedings. In this case, the husband’s applications were dismissed. The court refused the applications on both grounds; notice and ability to participate. The wife was not provided with any proper notice or any information concerning the divorce proceedings. Although the wife did have a lawyer appointed, the fact that she had no communication with them at all resulted in her being denied the opportunity to participate. Whilst the court was not required to, it was further determined that the talaq had been revoked. A talaq provides the parties to the marriage a period of 90 days to show an intention of continuing with the matrimonial partnership. In this case, this had occurred by the fact the parties continued to live together in the same manner as prior to the talaq. 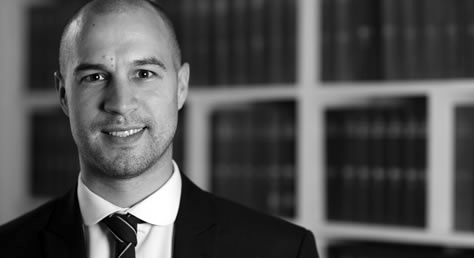 This case clearly shows that if any divorce obtained overseas is to be relied on and recognised in this jurisdiction, the court must be satisfied that the other party was given appropriate notice of the proceedings and they had the opportunity to engage in those proceedings. Without this no declaration under S45 of the Family Law Act 1986 will be granted. If you need advice or assistance with a divorce or other family case, please contact Ian at I.Whitbread@wilsonllp.co.uk or call Mavis on 020 88857986 for an appointment.